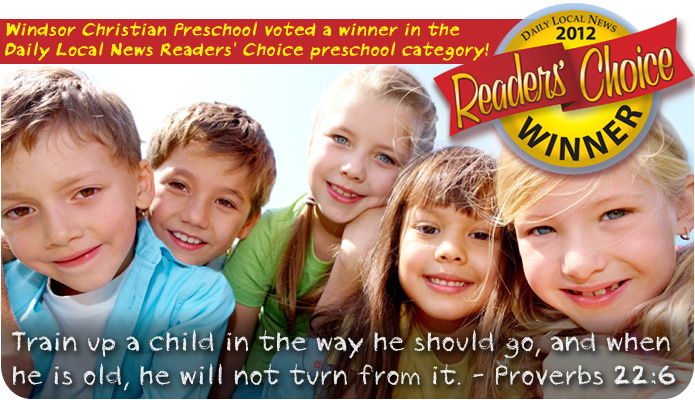 Established in 1980, Windsor Christian Preschool provides an exceptional and unique education in a warm, nurturing environment that compares to none other. Our curriculum is purposefully designed to teach to all areas of development. Windsor Christian Preschool offers classes for children ages 2-1/2 to 5 years old in the Chester County area such as Chester Springs, Downingtown, Exton, Lionville, Glenmoore, Uwchland and Upper Uwchland, Eagle, Ludwigs Corner, Elverson, and more!